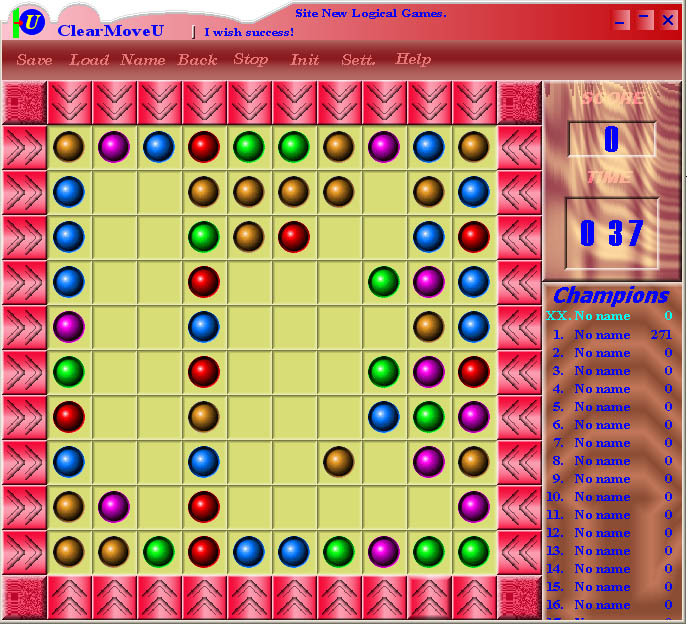 This ClearMoveU game has appeared as a result of development of the popular ClearMove game. The rules of the game differ unsignificantly. The main difference that the game can proceed as long as you like. All depends on your art. We have take into account the numerous recommendations of the users ClearMove game. The aim of game is to hold on as long as possible. There is a possibility of a choice from 9 levels of complexity in the game. Qweas is providing links to ClearMoveU 2.58 as a courtesy, and makes no representations regarding ClearMoveU or any other applications or any information related thereto. Any questions, complaints or claims regarding this application ClearMoveU 2.58 must be directed to the appropriate software vendor. You may click the publisher link of ClearMoveU on the top of this page to get more details about the vendor.